"Allen and Yago demonstrate clearly the importance of the interaction of theory and experience in explaining the evolution of financial innovations." "Despite its role in the recent economic crisis, financial innovation, wisely used, can play a crucial role in solving some of the world's most pressing problems, particularly by delivering sustainable growth and economic development. Allen and Yago's compelling, contrarian analysis punctures the current gloom about finance, and shows how its creativity can make a huge, positive difference." "This book provides a clear and concise history of financial innovation as an engine for growth in various fields--an often ignored or misunderstood topic. From its role to help finance new industries and technologies to upcoming advances in environmental and health areas, it will prove an important reference to those of us who are interested in how ingenuity in capital markets can help advance social goals. A must-read in these times." "The right book at the right time. Allen and Yago colorfully relate the history of financial innovation down through the ages. With facts and analyses, they restore the concept of financial innovation to its rightful place: a medium by which long-standing problems of social, economic, and environment have been addressed, sometimes solved." 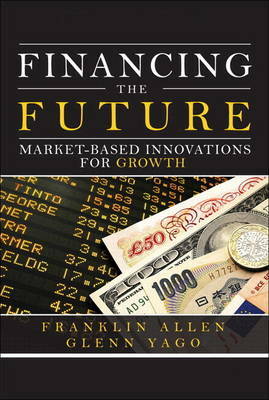 "From housing to microfinance to drug development, Allen and Yago explore the important role financial innovation plays around the world. The authors prove in plain English the vital role creative finance played in building America and why stifling innovation poses a risk to our financial future." Financial innovation can drive social, economic, and environmental change, transforming ideas into new technologies, industries, and jobs. But when it is misunderstood or mismanaged, the consequences can be severe. In this practical, accessible book, two leading experts explain how sophisticated capital structures can enable companies and individuals to raise funding in larger amounts for longer terms and at lower cost--accomplishing tasks that would otherwise be impossible. The authors recount the history and basic principles of financial innovation, showing how new instruments have evolved, and how they have been used and misused. They thoroughly demystify complex capital structures, offering a practical toolbox for entrepreneurs, corporate executives, and policymakers. Financing the Future presents clear, thorough discussions of the current role of financial innovation in capitalizing businesses, industries, breakthrough technologies, housing solutions, medical treatments, and environmental projects. It also presents a full chapter of lessons learned: essential insights for stabilizing the economy and avoiding pitfalls. This is the first in a new series of books on financial innovation, published through a collaboration between Wharton School Publishing and the Milken Institute. Future titles will focus on specific policy areas such as housing and medical research. The Milken Institute is an independent economic think tank whose mission is to improve the lives and economic conditions of diverse populations in the United States and around the world by helping business and public policy leaders identify and implement innovative ideas for creating broad-based prosperity. It puts research to work with the goal of revitalizing regions and finding new ways to generate capital for people with original ideas.